Prescription drugs are fast becoming one of the most prolific killers of modern day society. Everyday men and women are prescribed narcotic analgesics to relieve the pain felt after dental surgery, and as a result, the misuse of prescription drugs from the dentist is on the rise. The illegal use of modern painkillers such as hydrocodone and oxycodone has become a very real form of drug abuse among younger generations, and the misuse of these drugs can prove to be fatal. Pain killing medications used within the dental industry are often prescribed to those in need, but are consequently exploited – often by friends, family members, or even members of the local community who are seeking legal highs. Often attained via underhanded methods, such as emotional blackmail and thievery, prescription drugs can even be stolen from premises’ after they have been expelled from the household (i.e. in the trash or at the dump). One of the most effective ways to prevent drug abuse is to communicate with each other and to educate those in and around your home. Talking with your peers about the dangers of prescription drugs, and educating children and young people who may come into contact with them will help you to manage the way that they feel about their overall use. Sometimes, simply informing those who are vulnerable that prescription drugs are no safer to consume than illegal drugs can change the way that they are both approached and used. The truth of legal drugs such as painkillers is that they can be just as addictive as illegal drugs, and they are actually only legally consumable for those who are initially prescribed them. Another great way to prevent drug abuse is to protect the medication that you are prescribed. If you properly secure medication, the chances of it falling into the wrong hands will be reduced. Taking them away from the standard storage areas and locking them away in a secure place will deter those who wish to gain improper access to them. If you find that you have excess medication to hand, or if your medication has expired, make sure to dispose of it in the correct manner. Some medications will have disposal instructions or patient information to inform you of the proper disposal procedures, and individual medical facilities may arrange drug return days where you can return any surplus medications. You may even find Controlled Substance Public Disposal Locations in and around local medical centers – these allow you to dispose of your unwanted medication in a safe and secure manner. Always remember to remove all personal information from prescription bottles before you dispose of them though, to protect your private information. 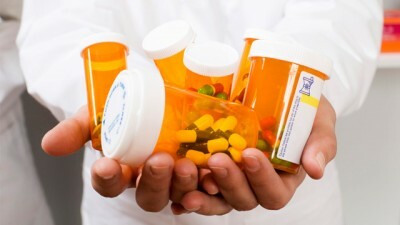 In general, connecting with the wider community about the potential ramifications of prescription drug abuse will be the best preventative measure overall. To be armed is to be forewarned, so encourage those around you to practice the above measures.